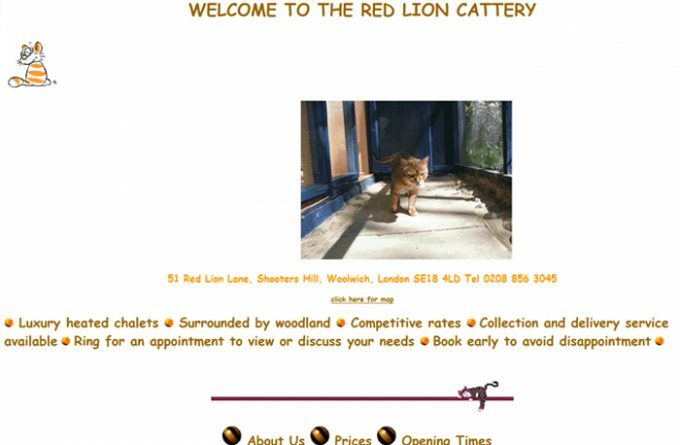 The Red Lion cattery is located in Shooters Hill, South East London in a house backing onto a small wooded area. The cattery accommodation consists of 24 units which can house up to 2 cats, plus two units housing up to 4 cats. For more information about Red Lion Cattery, you can visit them in person, visit their website, telephone or send them an email (if available) using the form below.